Yes, that's right! I'm baaaaaack!!! 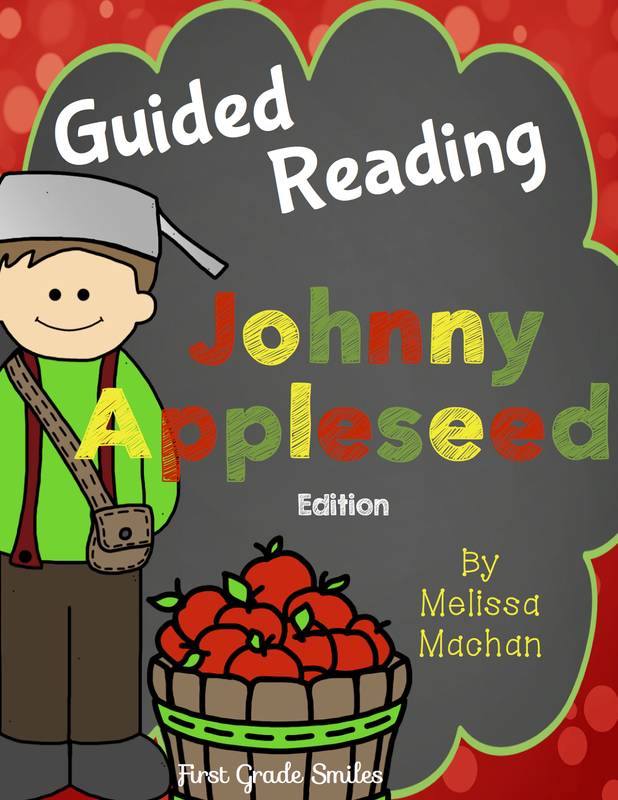 Before I get to the fun, I'd like to share today a little bit about guided reading. Not to say that guided reading isn't fun, of course. Honestly, I do find it fun! I just love working with small groups. I love the conversations. I love the growth I see. I love the way they open up. It really is such a great time of the day. For me, it all goes back to Fountas & Pinnell. I KNOW they don't need any introduction, so I will just carry on. Since I began teaching 12 years ago (when I was 10 of course ;) I have always taught reading in my classroom using the guided reading approach. I honestly wouldn't even know how else to teach it really. This is just what we did and what we still do. Long story short, I begin the year by taking a running record of each child in order to find his/her instructional level (the level at which the child can read well, but not too easy). I group my students as best I can into 4-5 reading groups by level. I set up my reading block so I am meeting with my lowest kids everyday and the higher ones at least 3 times a week. Truth be told, I feel too guilty not meeting with all my groups each day so I always pull every group even if it's a quick check in, a game, or something. The kids just love this time (especially the higher ones) and I feel bad leaving them out of all the fun we have at that kidney shaped table. While I am meeting with groups, the rest of my class is working on centers. That's a completely different post that could probably be updated and changed every year. In my reading groups I try to change it up a little each day. We have a basal program (Treasures). 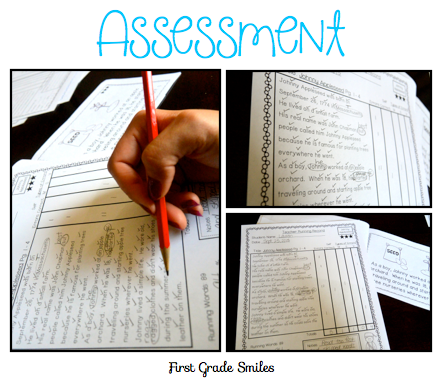 If you have a basal then you know that they are jam-packed with STUFF to help you teach ELA. I like the program, but to be honest I don't always like all the STUFF. Which is why I decided to start making my own stuff a few years ago. This past year I found that by the end of each week I was struggling to find worthy activities to do in my groups. 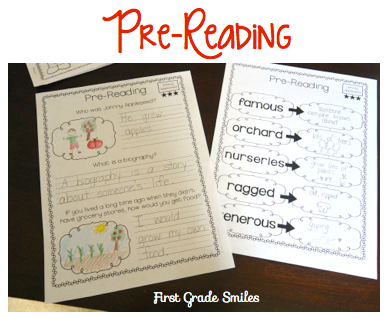 I had used the leveled readers and decodable readers. 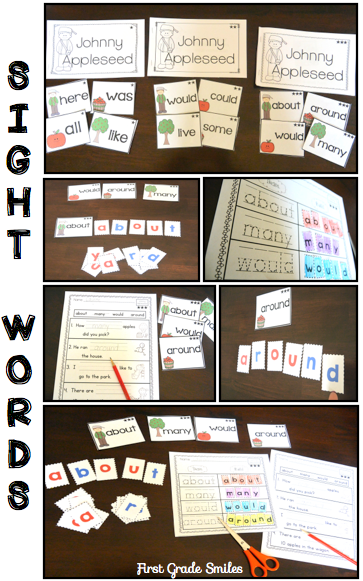 We did some guided writing, word work and phonics practice, and sight word review games. But I still wanted something more and definitely more reading. It is guided READING after all! Then this whole phenomenon of Close Reading hit the Common Core scene and upped the anty a little. I found myself at a point where I knew I was ready to try making some materials to help with this. 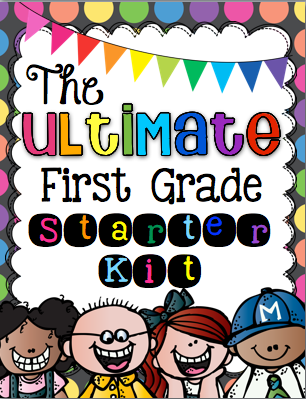 So when I finally had the time (just two weeks ago) I sat down and got started on the first of what I hope will be many Guided Reading Packs for my classroom (and hopefully yours too). 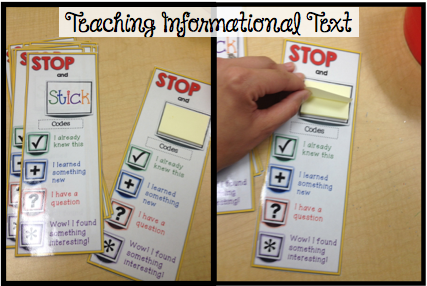 I stayed true to the idea of having leveled texts to accommodate all readers in my class. I have 3 different levels of text in each pack that are the same topic and generally the same content. 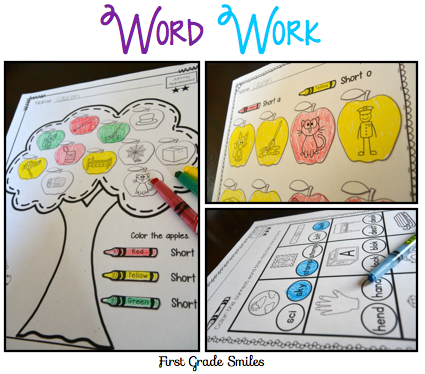 Each book has coordinating activities to go with them for Pre-Reading, During Reading, Post Reading, and Word Work. Every page is labeled with the stars so you know (even after printing and dropping them on the floor and then they are all out of order - not like I've ever done that before ;). 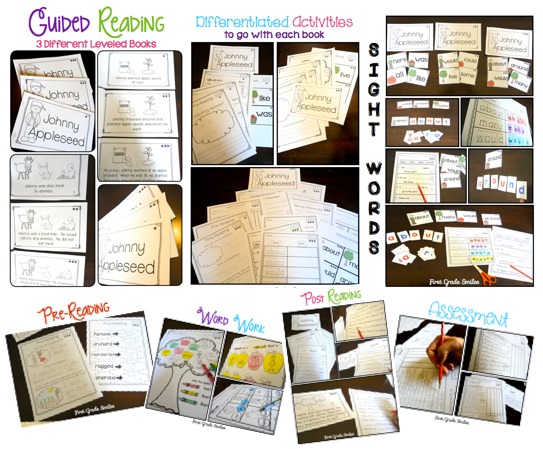 Leveled sight words from each book with cards and activities to go with them. During Reading - I love using post-it notes to help my kiddos keep track of new information, questions they have, etc. We use these sticks for when we are sharing in the group. And these bookmarks are perfect for keeping track of our post-its. These are both from my Be a Fact Finder pack. The post reading components are where I see Close Reading fitting in. I've included comprehension questions as well as finding proof in the text. 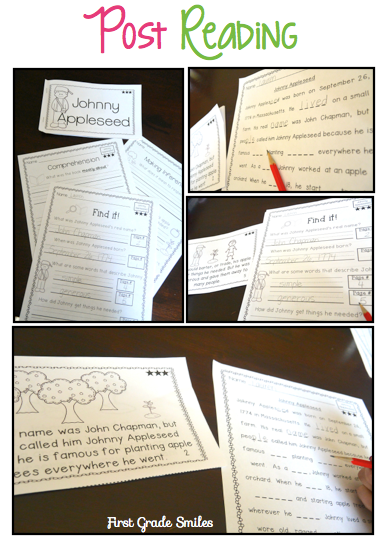 In the Johnny Appleseed pack, I even pushed that higher group a little more with a Making Inferences page. And you never know when you need one more assessment for your students, so I included running record sheets for each book. I designed these packs to be very user friendly. 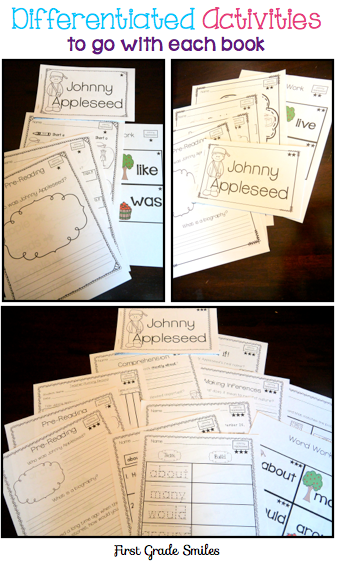 You could use these in many different ways even outside of guided reading, including homework. Imagine how happy the parents will be if you are sending home leveled work with very clear instructions. You could send them a pack on Monday and have it due back by Friday. You could have parent volunteers work with a group when they come in. I'm even considering sometimes allowing my higher group to work on theirs during centers while I spend a little more time with my lower groups. We'll see if I can let go of the guilt on that one. 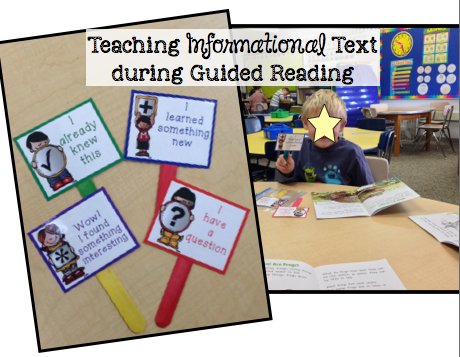 I'd love to know more about what you are looking for when it comes to your guided reading time. 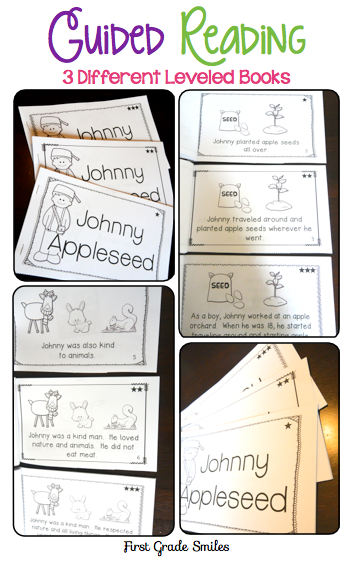 As I continue to make these packs I am open to including a variety of activities to go with each book. So drop me a line down there and let me know what you'd like to see. And now before I let you go, I think it's important for me to tell you about the BEST SALE of the YEAR. Yes, friends! 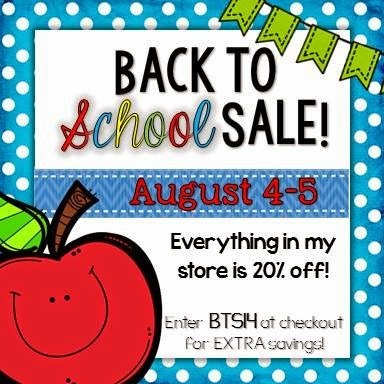 The Back to School Sale at TPT is here and it starts tomorrow! My whole store is 20% off with extra savings when you use the code BTS14. 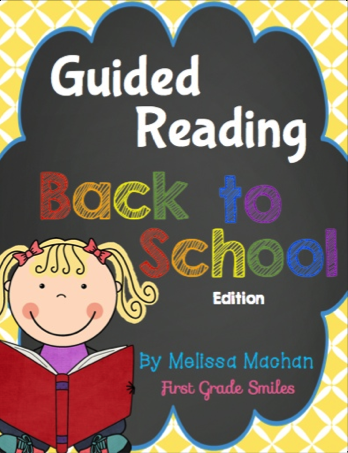 You could grab my guided reading packs while they are on sale, or of course anything else you've got on your wish list. 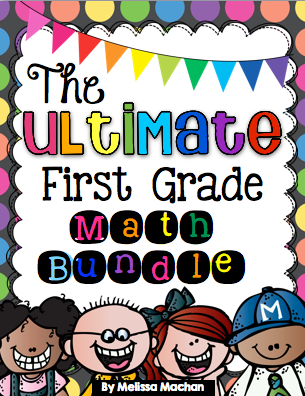 I did make some super saving bundles that are an absolute steal during a TPT sale that you might want to check out, too! I'm off to load up my wish list!!! Holy cow! This. is. amazing. I LOVE everything about this. Seriously, this must be one of the most thorough, well made packs I've seen. I love guided reading and you have captured every important part of it here. Nice work!! This will be a HUGE hit my friend! LOVE love love it! I have the same issue with our basal. I like it but by Thursday I'm really tired of what is offered.